We all have habits. And some habits are healthy (going to the gym regularly!) and some are less healthy (overeating after a workout because we over-estimate our burn). We’re going to talk today about 5 of the most common bad workout habits and how to break them for good! Bad Habit: Not knowing the proper rep range for your goals or having bad/sloppy form. Chances are if you’ve been working out for a while now, you’ve noticed that you can do more reps of exercises you used to struggle with – but should you? And what about the ideal range of motion – do you know what that is for the exercises in your program or are you guessing? 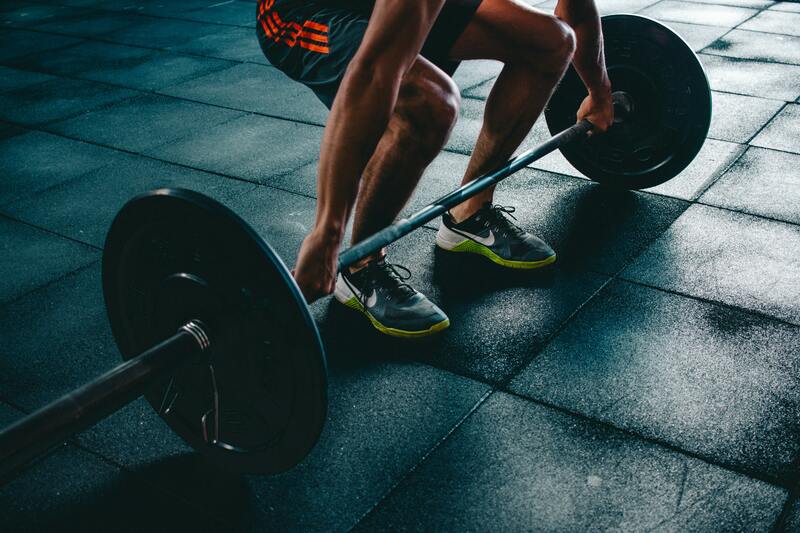 Chances are you’ve built some bad habits in both the number of reps you’re doing (which is going to be hugely dependent upon what your goals are, so you might might not want to follow the advice that works for someone else with different goals) or your form. And if you haven’t been working out for a while, this is a good habit to avoid forming in the first place. Solution: Check in with a personal trainer every now and then to make sure your program is appropriate to your goals from how much you’re lifting or running to form to reps/duration. Get a complimentary consultation with an Elevate Fitness Personal trainer here. Bad Habit: Not changing up your workout often enough. Workouts get stale, and what’s worse, they become less effective over time. Doing the same workout day in and day out will not only slow your results, but could actually derail them altogether over time. Solution: Try group fitness classes. The group classes at Elevate Fitness are designed to be consistent so that you benefit from the programs while being progressive so that you’re constantly challenged and making improvements in your fitness. Plus – if one class gets stale there are literally dozens and dozens of others to try. Learn more about the types of group workouts offered at Elevate Fitness here. Bad Habit: Leaving the gym and consuming excessive calories in the name of “refueling”. Sure, it’s a real thing. You need to fill the tank when you empty it. However, the truth of the matter is that most people overestimate how empty their tank is and underestimate how much they’re filling it back up. Long story short? We overestimate caloric expenditure during exercise and underestimate caloric intake when we’re eating. The result? We don’t create the caloric deficits we think we’re creating during exercise. Solution: Use trackers/apps to ensure you are burning the calories you think you’re burning and to make sure you’re not taking in more calories than you mean to. We think Heart Rate Monitors are the bee’s knees at Elevate Fitness. They give you the most accurate data you can get for your day-to-day workouts and make it a breeze to know how many calories you burned in the gym. Pair that with a great calorie-counting app like MyFitnessPal or Calorie King and you’re well on your way to breaking this bad habit most of us don’t even realize we’re guilty of! Bad Habit: Making your workouts too much work and not enough fun. Everything in life is about balance, right? And the same is true when it comes to your time in the gym. Yes, you should be working hard – but if you’re not having some fun in the process, how likely are you to stick with it for the long haul? Solution: Mix it up. Here’s where those group fitness workouts can come in handy. Or how about trying something new in the gym that you’ve never tried before. Do you know how many calories you can burn on the tennis courts? HealthStatus reports a 150-lb. person can burn around 288 calories in an hour of doubles tennis and 414 calories in an hour of singles tennis – more for those weighing more than 150-lb. Whatever the activity is – find something that’s fun and occupies your mind as much as your body and you’ll stick with it longer and have a much better time putting in the work required to meet your goals! Bad Habit: Trying to go it alone. We’re not solitary creatures, and while some people benefit from making the gym a solo effort (and if that’s you and it’s working for you – keep on keeping on!) most of us do better surrounded by others working toward similar goals to share their experiences with us and to hold us accountable to our goals. Solution: Find that friend who would be good for your routine and ask them to fill out a guest form and try the gym with you – you may find a lifelong workout partner who helps you get into the best shape of your life! Don’t know who to ask? No problem! 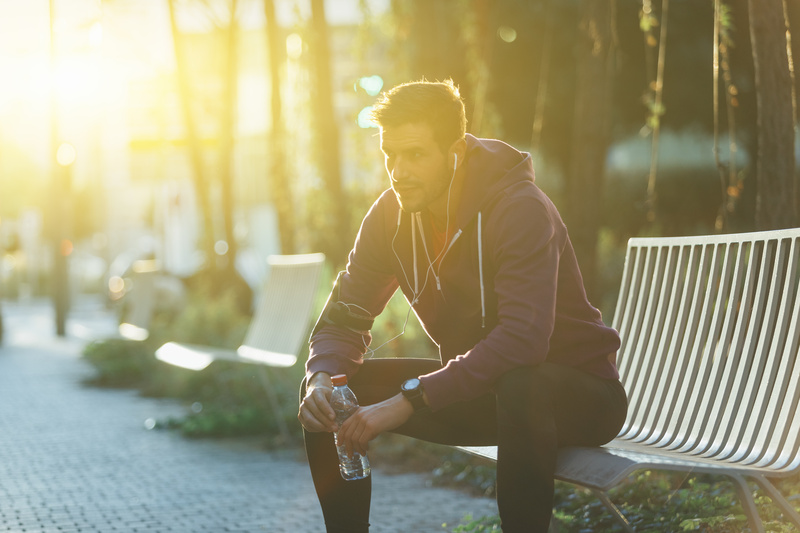 Find a program in the gym, like the Weight Loss Challenge, that aligns with your goals and try it out – the worst possible outcome is you meet some new people and move on to try something else. Best possible scenario? You change your life! Whether you’re guilty of one or all of these bad habits, change starts with awareness! Determine what habits are standing in the way of you getting the results you want from your workout program and then make the changes you need to take your fitness to the next level! Not a member? Not a problem! Try Elevate Fitness in Dewitt and Liverpool for FREE! Not a member of Elevate Fitness yet? Try us for FREE! Next is High-Intensity Interval Training (HIIT). HIIT is growing in its popularity due to its shorter workout times. Most HIIT workouts last 20-30 minutes and are characterized by bursts of maximum activity followed by a short rest period before repeating the activity. Your perceived exertion is high during HIIT with your heart rate falling between 70-85% of your Projected Heart Rate Max. 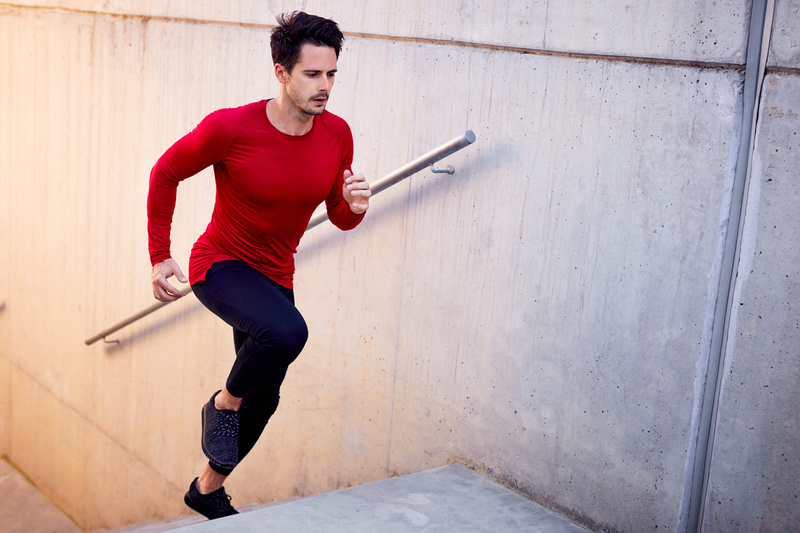 The most popular example of HIIT is running sprints. During HIIT, you are working the more powerful, more strength oriented type 2 muscle fibers which are more likely to hypertrophy (grow). Even though the percentage of the calories you burn during HIIT that come from fat is low, you will still end up burning more fat during your workout than a Steady State Cardio session of the same duration. You can also burn up to 100 more calories in the 24 hours following your HIIT workout. There are some things to watch out for with HIIT. For instance, you should not do HIIT more than 3 times per week as it is very taxing on your joints and nervous system. In addition to that, you are more likely to injure yourself if you did not properly warm up before performing HIIT since your muscles are pushed harder than in Steady State Cardio. It may also be more difficult for older adults to do HIIT since their joints are not as strong as they once were. After reviewing the pros and cons of both HIIT and Steady State Cardio, I recommend that people should perform 2 days per week of HIIT and 3-4 days a week of Steady State Cardio to get the maximum health and fat burning benefit while preventing your body from breaking down from overworking it. Your nervous system is often overlooked with people start a HIIT program and end up burning out early due to doing too many HIIT sessions. 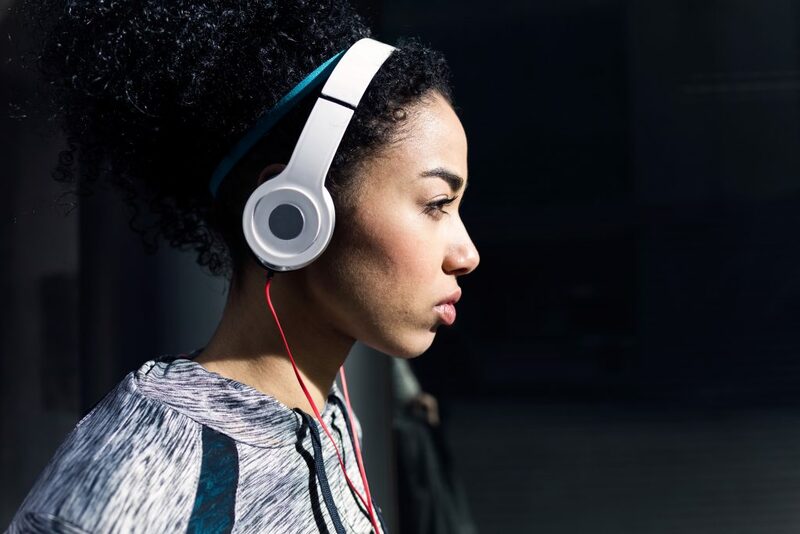 NOTE: While the author of this article makes cardio recommendations in the context of this article, Elevate Fitness recommends that you schedule a FREE consultation with a certified Personal Trainer to determine the best exercise prescription for your unique needs. Happy Monday! Here’s today’s Workout of the Week. 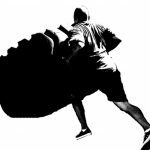 This week it’s a tire-based workout created by Dante and Lauren, personal trainers at Elevate Fitness in Liverpool, NY. Workout: Aim for 3-4 sets of each exercise, completing one full circuit at a time before repeating an exercise. Try varying things like speed, reps and rest time to get the most out of your workout. Want to get a little one-on-one to get the workout right? Get a complimentary (restrictions apply) workout with a certified personal trainer. Just fill out the form below! Want to try a session with a personal trainer? Fill out the form below. Some restrictions apply. It’s quick, taking about 30 minutes to complete from start to finish including a quick warm-up before I start and a cool-down at the end. It only requires one piece of equipment – a kettlebell, making it an ideal workout at home, when traveling, or when the weather is nice and you want to head outside. It’s a high-intensity interval training workout so it’s super effective for getting maximum results in minimal time. It’s full-bodied, so it only needs to be completed 2 – 3 times a week for maximum effectiveness. Want a customized workout for your body and your goals? Book a complimentary session with a personal trainer for first-time clients by filling out the form below. Some restrictions apply. Elevate Fitness strongly recommends that you consult with your physician before beginning any exercise program. Elevate Fitness is not a licensed medical care provider and represents that it has no expertise in diagnosing, examining, or treating medical conditions of any kind, or in determining the effect of any specific exercise on a medical condition. You should understand that when participating in any exercise or exercise program, there is the possibility of physical injury. If you engage in this exercise or exercise program, you agree that you do so at your own risk, are voluntarily participating in these activities, assume all risk of injury to yourself, and agree to release and discharge Elevate Fitness and its associates and employees from any and all claims or causes of action, known or unknown, arising out of use of this or any workout program. Is Barefoot Training Right for You? Do you suffer from Plantar Fasciitis, or Heel Spurs? Do you have fallen arches or pain in the ball or heel of the foot? We can help you learn to strengthen the feet and take back your ability to hold yourself in good posture. Your feet have been trapped in your shoes for all these years, your foot muscles have become weak and your foot and ankle joints have become stiff. Your feet are your base of support and your connection to the earth; if they’re not strong and flexible … imagine how your overall movement will suffer! We will help you strengthen your body from the ground up – without the external support and control of a shoe. Training barefoot will feed your central nervous system valuable information and improve your balance to help you develop graceful and efficient movement. Our program is designed to present the latest research in barefoot science as it relates to restoring foot function, corrective exercise, and athletic performance. We strengthen the feet from the ground up…. Using the strength of the foot to strengthen and stabilize the ankle, knees, hips and low back as it all connects to your core. Learn how barefoot training can change foot structure, improve neuromuscular activation patterns and reinforce integrated movement patterns of the lower extremity. Come see your Certified Barefoot Trainers (Evidence Based Fitness Academy) Barb Delaney and Maurita Marley at Elevate Fitness. Click here for the class schedule in Dewitt and here for Liverpool. Have you ever seen those straps hanging around the club somewhere, and maybe you’ve even seen someone doing an exercise while hanging from them, and wondered what they are and why the heck they’re in the gym? Have you heard people mention TRX Training and wondered what the heck they’re talking about? We talked to Level 1 TRX Certified trainer, Raelynn Baumann, who is also Personal Training and Pilates Certified, about TRX Training so that we could better understand what it is and why it’s in Elevate Fitness clubs. Q: How and when did you first hear about TRX Training and what attracted you to it? A: In 2010, I saw TRX in a Men’s Health magazine (yes I read that) and I was intrigued by the fact that you only used your body weight with it, and people were still raving about the quality of the workouts they were doing. Q: What made you decide that TRX was a tool you wanted to be able to offer to your clients as a Personal Trainer? A: As soon as I trained on The TRX myself I knew it was my new favorite way to train and would be great for clients too. Anything that can get me personal results, I know that it can work for my clients, too. And I’m always interested in bringing my clients the newest and most effective training modes. Q: So you personally train on TRX? Why? A: Yes, everytime I workout I use the TRX, whether it’s a full workout on the straps, or I just hit a body part or two, or use it to stretch out after a session. it’s a compliment to any workout/exercise you do. And it’s working your core 100% of the time you use it, and I really love that. Q: What makes TRX different than working with weights or machines? A: With TRX, you ARE the weight or machine! 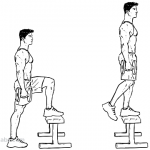 Just by moving your feet closer to or further from the anchor point, you make the exercise harder or easier. It’s pretty basic – 2 straps, and you are only supported by your hands or your feet, depending on the exercise. Q: It sounds really interesting. So, who should incorporate TRX into their fitness routines? Q: How did TRX come about? A: Rope training has been around as early as the 1800s. Randy Hetrick, a former Navy Seal and Stanford MBA graduate, developed the Total Resistance eXercise (TRX) equipment and the associated Suspension Training bodyweight exercises in the 1990s, and started marketing it in 2005. Q: Are you certified in TRX? Why bother getting TRX certified when you’re already a certified personal trainer and Pilates instructor? A: Yes, I’m certified. It’s always best to workout with a certified trainer so you are taught the exercise correctly, with proper form to minimize the risk of injury. TRX training uses your muscles differently than traditional strength training, so it’s helpful to work with someone who’s been trained to maximize that effect and get you the best possible results. Q: As I mentioned, you’re also Pilates certified. What do Pilates and TRX have in common and what makes them different? A: Good question. They actually have a lot in common. A lot of Pilates instructors love the TRX. Both work on core movement, lengthening and strengthening. TRX is a set of straps, in which either hands or feet are suspended. Pilates is a method which can be done on a mat, or on various pieces of equipment such as a reformer, or chair and barrels. Both can be done almost anywhere. Q: What advice do you have for someone who’s interested in TRX but hasn’t ever tried it? A: Find a certified instructor. Have an open mind, your body is the only machine you’ll be using. All exercise can be tweaked to your own desired level of difficulty. Q: Thanks so much for taking the time to answer our questions. Is there anything else you’d like to share with our readers about TRX Training? A: TRX is low impact and will help increase your lung capacity. Your core is challenged through the entire workout. The TRX reduces time spent moving from machine to machine as well. I can’t say enough about TRX, if you haven’t tried it out yet, you should. Come on in to Elevate Fitness and let me get you on the straps to try it out! Try a complimentary training session (first-time clients, aged 18 and over, local residents only) to learn more about TRX. Some restrictions may apply. We’re a highly visual culture. Instagram and Snapchat prove that what we love most about social media are the photos. And that’s probably because, as Fast Company tells us, we remember more information when it’s associated with images. It’s a phenomenon frequently referred to as the picture superiority effect. Often times, when people begin a weight loss or fitness journey, they’re initially motivated by a shocking visual: catching a glimpse of themselves in a mirror as they walk by, being tagged by a friend in an unflattering Facebook photo or glimpsing back at photos that showcase their more ideal physiques. Data is good – don’t get us wrong. It’s incredibly motivating to see numbers change as you work through a weight loss program. But the numbers on the scale can be so misleading. Muscle weighs more than fat. So one pound of muscle takes up less space than one pound of fat. Think about that for a minute: you might physically take up LESS space but weigh MORE on the scale if you’re involved in an effective training program. That’s why so many personal trainers prefer tape measures and calipers to scales. Inches and body composition mean so much more than your body’s relationship with gravity expressed in numeric form (which is all weight is when you really think about it). At the same time, fitness professionals will warn you that you should have some sort of metric that you’re measuring as you complete any fitness program so that you can ensure the effectiveness of that program and make adjustments as necessary to make sure you reach your goals. And most of us can’t do our own circumference measurements, and we certainly can’t measure our own body fat percentage. “Photos are great,” says Mark Clary, a Program Director with over 30 years experience in the health and fitness industries, “getting a full body photograph that shows your body as is, without filters and flattering angles and special lighting will give you the best visual starting point for tracking your progress.” It makes sense, after all, before and after pictures are the most common way for people to share their success when it comes to weight loss. But maybe you don’t have a timer on your camera or a tripod to get a full body shot. And maybe you’re not comfortable asking someone to take a photograph for you. We get it, it’s not always a practical suggestion. That’s where technology is starting to offer some interesting solutions, like 3D Body Imaging and Composition Analysis. In less than a minute, this technology can scan your body, create a 3D digital image and take hundreds of body circumference and body composition measurements to give you both a visual AND relevant data to establish your starting point and track your progress as you work toward your goals. Think about it – you wouldn’t want a surgeon going to work on you without first carefully assessing your condition and THEN creating a plan for you – why should the gym be any different? Why waste your time doing exercises or participating in a program that isn’t the right one for your body or your goals? Elevate Fitness Clubs in Liverpool and Dewitt, NY are now offering 3D Body Imaging and Composition Analysis on site. Members working with a personal trainer in one-on-one personal training programs will receive monthly scans to track their progress and document their results. Members with VIP status will also get monthly scans. But what about the rest of us? Well, the good news is a) you don’t have to be working with a trainer or a VIP member to get a scan and b) right now, through the end of the year, you can get 50% off body scans! Fill out the form below to request more information or to schedule your body scan and composition analysis today! In this post, we’ll focus on workout modes for people looking for time saving workouts. But where time is concerned, for most of us, we’re living in anything but an ideal world. So how can we make sure that we’re getting the most out of the time we do have to spend in the gym? 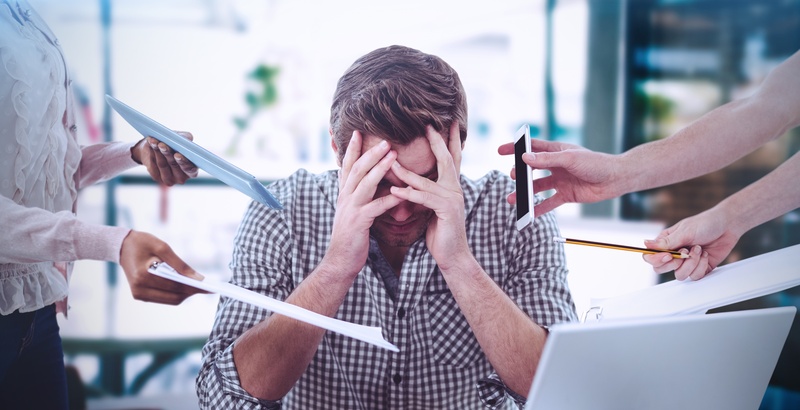 How can we make sure that we’re using our time as effectively and efficiently as possible to get the best possible results? What are some workable tips for time saving workouts? The most common mistake that people with tight schedules make is by limited their focus to only one or two of these components instead of figuring out how to incorporate all four into their full schedules. A great time saving workout includes at least three of these components. So let’s figure out how to get the full benefit of all the components while still getting in and out of the gym as quickly as possible! As an example, let’s assume that you have 30 minutes to workout, three days a week. How can we make sure that you’re getting maximum benefit from that time? In this case, we can eliminate frequency (because we’ve already established that we only have three days a week) and duration (because we only have half an hour to spare on our gym days). If you’re looking for the most time saving workouts possible, definitely consider working with a personal trainer. That leaves us with mode and intensity – these obviously become our most valuable tools in creating the ideal workout for our full schedules. Intensity is simply how hard you’re working, or how much effort you’re expending in your workout. The more effort required of you, the higher the intensity. 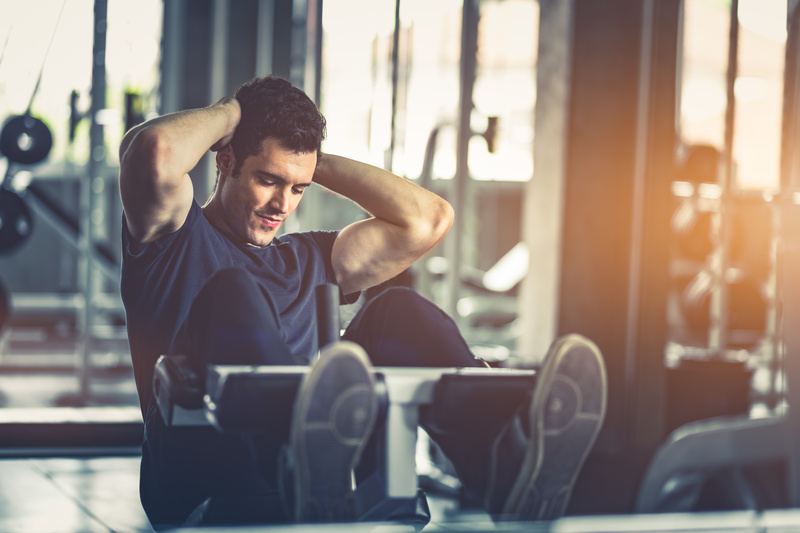 Making sure your intensity is appropriate to your goals is key in making the most of your gym time. We HIGHLY recommend heart rate training as an ideal way to monitor and adjust your intensity to your goals. Read more about heart rate training here. If your goal is weight loss, the ideal intensity is to be working in the 80-90% range of your maximum heart rate, as this will trigger the afterburn response in your body, allowing you to burn more fat at rest in the hours immediately following your workout than you would otherwise. What is mode of training? Simple – it’s the manner or way in which you’re choosing to exercise. Spinning Class is a mode of exercise, running on the treadmill is a mode of exercise, lifting weights is a mode of exercise, etc. So mode become important in this scenario because we want to choose the modes of exercise that will give us the biggest bang for our buck and offers the best opportunities for time-saving workouts. For most individuals who are looking to lose weight, or simply tone up, the best option for mode of exercise is going to be interval training. 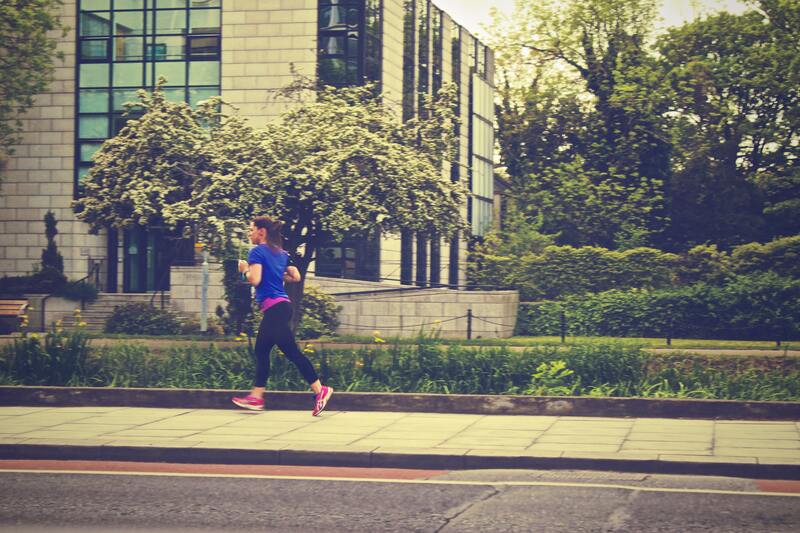 Interval training consists of alternating periods of high-intensity work and recovery. 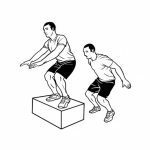 By increasing intensity, we’re getting cardiovascular exercise, and by making the exercises we’re doing full-body bodyweight exercises (think burpees and jump squats and pushups). Interval training is the basis for the very popular HIIT (high-intensity interval training) workouts you see everywhere. Interval training allows us to address both cardiovascular exercise needs and strength training needs – two of our four components of a successful exercise program! That leaves us with flexibility training and rest/recovery. We’ll plan two 30 minute interval workouts and one yoga workout per week. Either strategy will ensure we’re giving all four components the attention and focus that we need to be successful in the gym. If you’re looking to see the maximum change in your body with minimal time in the gym – for most of the population, this is going to be the best strategy. Let’s use a different example and say that you have an hour to spend in the gym three to four days a week. This makes programming your workouts even easier at Elevate Fitness Clubs. This option will also address all four components of a solid exercise plan while taking all the responsibility for planning a workout off your plate. Simply use the schedule to determine which classes you’ll be attending, show up, slap on your heart rate monitor (ensuring you’re working in the correct zones during your classes) and watch your body start to change in as little as a month. It’s easy to turn program design into a super complicated juggernaut that prevents you from ever getting started. 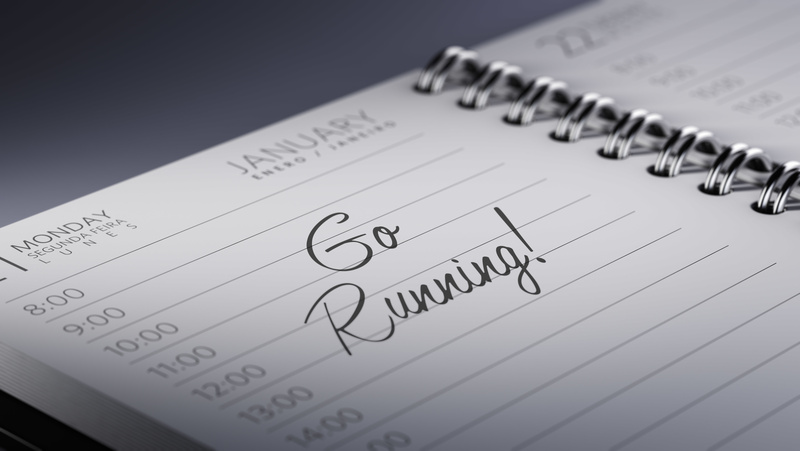 Why not sit down with your calendar instead, try to carve out three or four windows a week when you can hit the gym and get started on your journey to your best body ever? When it comes to weight loss, we’ve been conditioned to believe that hard work equals success, and we believe this to be true in all of life, including the gym. The harder you work therefore the greater the reward. But the truth might actually surprise you: working harder does not necessarily mean more weight lost. 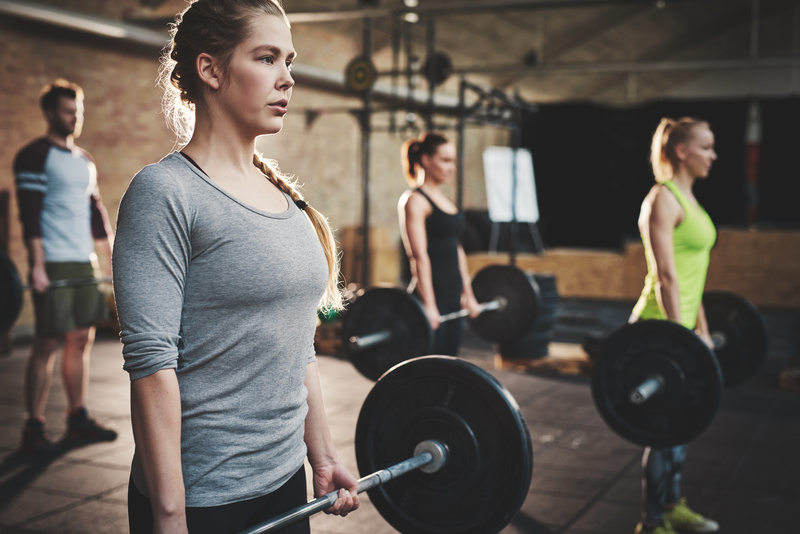 High intensity exercise is great for cardiac and athletic conditioning and building endurance, but in order to lose weight – you’ll want to exercise in your fat-burning zone and that happens at a lower level of physical intensity than you might think. Let’s use the MyZone color scale to better understand heart rate zones, based on your maximum heart rate. Each color represents a percentage of your maximum heart rate. That means if your maximum heart rate is 200, and you’re working out and your heart is beating 100 times per minute, that’s 50% of your maximum heart rate, and that puts you in the grey zone. So what are the different zones good for? This is an “average” of the heart rate zones, so if you’re new to fitness, you’re likely to experience that fat burning, or weight loss, effect in the green zone, and as your fitness level improves so will your body’s response to the various heart rate zones. How can you tell if you’re in the zone? There are two options: the no-tech approach and the tech-solution. The no-tech approach involves some math in addition to a clock. First of all, figure out what 81% of your maximum heart rate is and what 90% of your maximum heart rate is. This is the range you want to be in while exercising for maximum fat loss. Now, every 10 minutes, take your pulse for 20 seconds and triple that number – in the zone? Good. No? Then you simply adjust your intensity level to get in the zone. Most of us prefer the tech approach, especially with all the great fitness wearables. Use a device that calculates your heart rate and keep an eye on your numbers while working out. Even better? Use the MyZone Effort Tracker paired with your smart phone and glance at the app periodically to ensure your display is yellow. 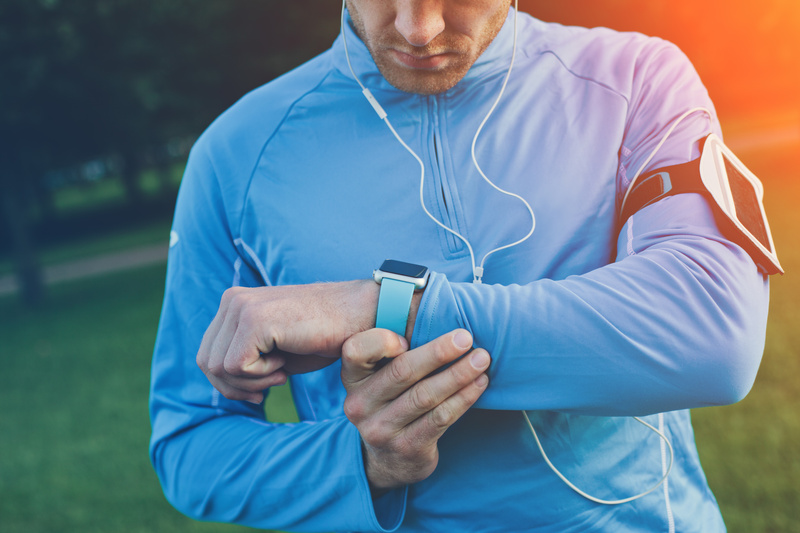 Tracking your heart rate for maximum fat loss during exercise can really be that simple! At Elevate Fitness clubs, we’ve partnered with FitMetrix which allows you to pair your own fitness wearable (no need to buy our monitors, see a list of compatible devices here) with our exclusive Elevate Fitness app available download in Google Play and the App Store) and track your workouts and progress. 1. You can see exactly how many calories you burn during a workout or a class and therefore know which workouts are most effective. Instead of using predictive measurements taken at the wrist like a lot of fitness trackers, this is tracking your actual heart rate activity and that makes the data super accurate. (We recommend that you use Myfitnesspal to track calories in and MyZone to track calories out and aim for a deficit every day). As a result you don’t have to guess or trust your gut. 2. MEPs – an MEP is a MyZone Effort Point – the harder you work, the more points you earn. You’ll be constantly trying to set new records and do whatever you can to increase your MEPs score, which means you’ll always be pushing yourself harder = better workouts (this concept is based on gamification theory, which you can read more about here)! 3. Your trainer can log in and see your numbers and your numbers won’t lie to your trainer about how many workouts you did last week, or how hard you pushed during those workouts (and that can be a good thing or a bad thing depending on what those numbers say)! 4. Your friends can motivate you and MyZone has a social component. Your friends and workout buddies can like and comment on your workouts and can even use the app to challenge each other for bragging rights (or to see who’s buying the first round this weekend). 5. Unlike our ex’s, numbers don’t lie so at the end of the day, if you manage your numbers, you’re guaranteed results. Trust in the math and the weight loss will follow.